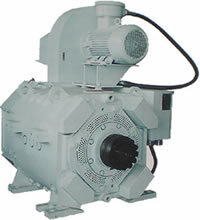 We supply a full line of AC and DC drilling motors for SCR and VFD electric drilling rigs. 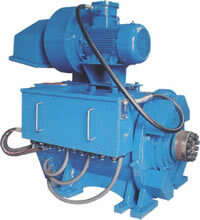 Our model SDM-800DC DC drilling motor is an identical match of GE752 traction motor. It has the same footprint and is interchangeable with it. Our AC drilling motors are similar with GEB22 drilling motors but with more models and options. The typical application of our traction motors in drilling industry includes mud pumps, drawworks, and rotary tables.